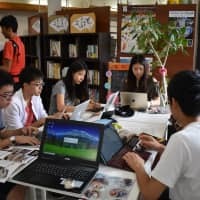 High school students from one of Tokyo’s top boys’ schools organized a study and field trip to the Tohoku region, which was devastated by the March 2011 Great East Japan Earthquake and tsunami, for themselves and exchange students from a partner high school in Connecticut. Students from the English-Speaking Society (ESS) at Kaisei High School planned the three-day tour of Ishinomaki, a city in Miyagi Prefecture hard-hit by the disaster. Students from Choate Rosemary Hall, a prestigious boarding school that runs an exchange program with Kaisei, also attended. Ryo Kuno, an 18-year-old former president of the ESS, said seven club members and four students from Choate visited disaster sites such as Okawa Elementary School, where the tsunami killed 74 pupils and 10 teachers. The students also spent a day at Ishinomaki Newsee, a museum established by the local Ishinomaki Hibi Shimbun newspaper, where exhibits include handwritten newspapers translated into English by Kaisei ESS members and proofread by Choate students. Newspapers were not printed during the six days following the disaster because presses were flooded. Reporters wrote their stories by hand and posted their newspapers in six shelters. “I was thrilled to hear our translations helped the 80 percent of non-Japanese Diamond Princess cruise passengers who visited the museum on Sept. 18,” Kuno said. He decided to translate the works as he learned the museum exhibit was only in Japanese when he visited in March 2018. The students compiled a bilingual booklet on these activities and disaster-prevention discussions held with the Choate students. 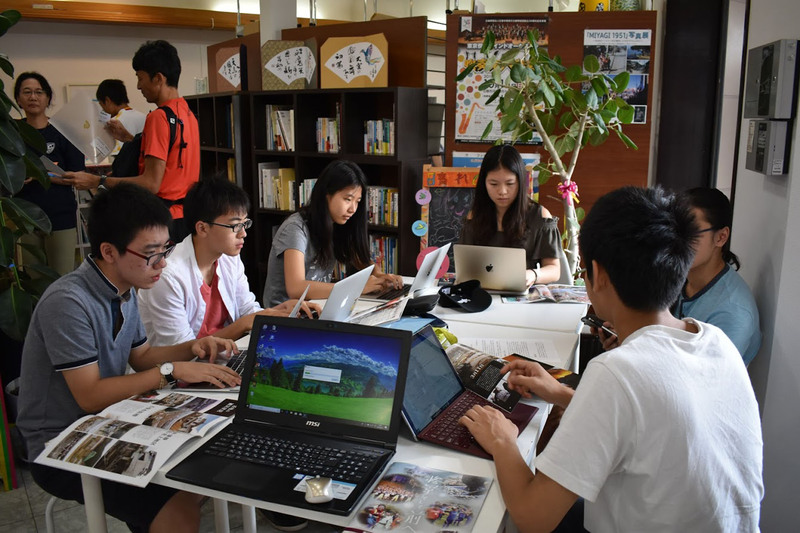 Taishi Nishizawa, current ESS president, hopes to organize a similar program for disaster-hit areas for the club and Choate students this summer.